I’ve been travelling for the past two weeks, and while I fold my suits very assiduously (inside out, shoulder into shoulder, around a pair of trousers), they clearly suffered over the multiple journeys. I have no solution for such long periods of travel – other than carrying a separate garment bag – but I do now have one for shorter trips. I recently bought a VBC 1663 Bellagio Rolling Bag. VBC stands for Vitale Barberis Canonico, who are of course much better known as a weaving company. But a couple of years ago a chance encounter with some local leather workers led to a project to create a range of luggage. The quality of the construction, as you’d expect from Barberis, is very good. The stress points are all hand-tacked, including the backs of the handles and the ends of the zips. The long zip, that runs the whole length of the rolling section, is finished with a separate leather guard that is itself hand-tacked. The hardware is all individually cast and the inking is thick – although the seam you can see along the middle of it betrays the fact that each side was done separately. The most interesting thing about this model in the VBC 1663 series, however, is that it is effectively a suit bag rolled up. 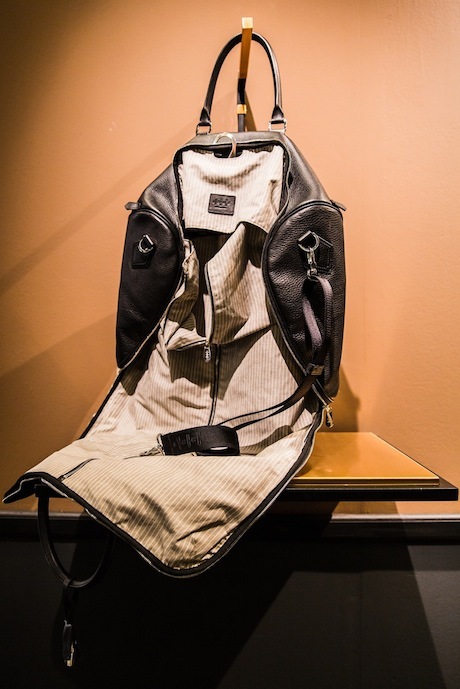 As you can see from the image at the top of this post, the bag unzips entirely until you are left with a long section sufficient for two suits – plus pockets on either end for shoes. That section has a hanger built in, like regular suit carriers, and a protective cover. But unlike a suit carrier it rolls up rather than folding, making it far more portable. 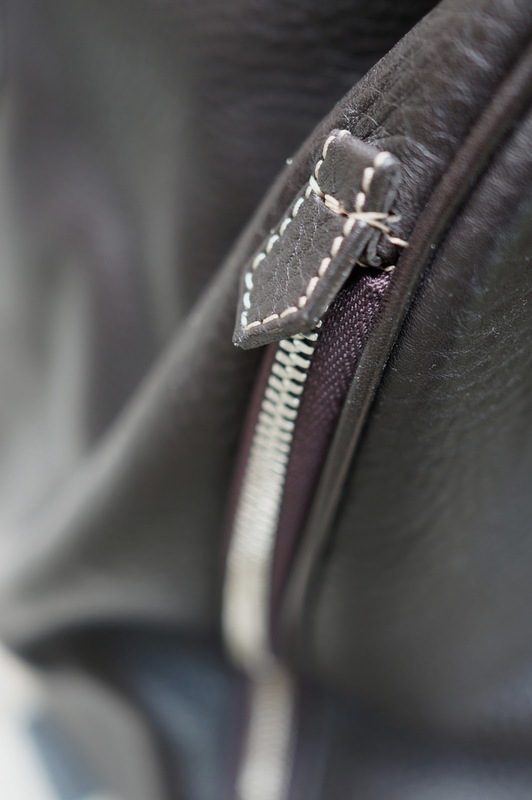 “The bags are entirely made in Italy, and we added some little Barberis touches. The linen lining that encases the suit is waterproof and stain-resistant, for example,” adds Galliano. I have used the bag three times so far and the suits have done very well for being rolled up. There were a few creases when the main compartment of the bag was completely filled, but still fewer than I get with folding them into a hard case. The only disadvantage of the system is that that main compartment has no internal pockets, and of course you have to unpack everything before you can take the suits out. VBC bags are distributed in the US by cloth merchant Gladson, and are sold by various places online (usually around $1900). They are also sold by Sartoria Vergallo. You can follow the discussion on A travel innovation: VBC 1663 Bellagio Rolling Bag by entering your email address in the box below. You will then receive an email every time a new comment is added. These will also contain a link to a page where you can stop the alerts, and remove all of your related data from the site. I am somewhat obsessive about travelling light and packing cubes add hardly any weight to my luggage, make it far easier to pack and unpack, and keep things nicely organised. The bag looks like a great product by the way. I really enjoy reading your blog Simon, mostly for the clothes, but when gems such as this crop up it’s an added bonus. Thanks Julian – I have tried things like that before but if anything that just adds one more source of pressure on the clothes. Are you still happy with this bag, Simon? Simon, sorry to resuscitate an old post. If you didn’t have this (assuming you still do), what would you purchase? I can’t seem to find any similar offerings. If you don’t have it anymore, what do you use for travelling with multiple suits?